21st-century outdoor furniture has emerged as one of the hottest movements in the world of contemporary design. High-tech computers and industrial robots are making huge inroads in the architecture, design, and production of outdoor furniture. 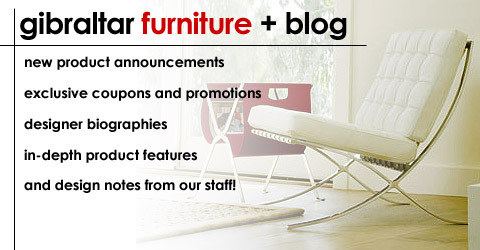 Los Angeles, CA (PRWeb) June 1, 2007 – 21st-century outdoor furniture has emerged as one of the hottest movements in the world of contemporary design. High-tech computers and industrial robots are making huge inroads in both the design and production of outdoor furniture and interior design. Over the years, traditional open-air furnishings have been the ugly ducklings of the decorating realm. Cheap injection throw-away chairs, dreary picnic tables, and low-end metal seating dominated the field. All of this has changed with the introduction of CNC (computer numerical control machines), industrial robots, and state-of-the-art software. Computer aided technology, hi-speed laptops, and digital design programs are creating new fluid forms that are transfiguring traditional concepts. Modern robots and digital technologies are not only radically changing production techniques, but also allowing artists and companies to envision products that were unimaginable years ago. Technology is having a huge impact on how furniture is made and marketed. People are becoming more comfortable with digitally designed items made from industrial materials like plastic and resin in their homes according to Brooke Hodge, curator of architecture and design at the Los Angeles Museum of Contemporary Design. Mid-century artists like Charles Eames and Isamu Noguchi employed sketch pads to capture amorphic forms and non-figurative images. Modern day designers are more inclined to draft abstract shapes via a laptop instead. Modern Outdoor, Serralunga, and the Veneman Outdoor Collection are a few of the trend setters in this exciting new realm. Stainless steel, glass, aluminum, and high-end polymer substances are a few of the materials that have revolutionized conventional forms. This transformation has resulted in eye-catching pieces that define post-modern outdoor architecture. A Google™ search indicates that the foremost site for modern outdoor design sources is Gibraltar Furniture. This West coast internet pioneer features retro, mid-century, and post-modern pieces at amazing prices. Google™ confirms that Gibraltar offers a exceptional array of discount, architectural, modern, high quality items at discount prices. Gibraltar Furniture is one of the leaders in the world of Internet modern architectural products. Gibraltar sells both original and reproduction furniture manufactured in Italy, Asia, and the USA. Toll free telephone is 800 416-3635. Gibraltar is based in Beverly Hills, 90210, and can be found on the web at www.gibraltarfurniture.com. This firm has been in operation for over 50 years, and is an insider secret weapon for blue chip merchandise at warehouse prices. Gibraltar is an excellent resource for architects, interior designers, landscape architects, and consumers looking for high quality hard-to-find goods. Yahoo reports that Gibraltar Furniture has DWR stock at AMAZON prices. Modern Outdoor is located in Los Angeles, California and is one of the trend setters in al fresco furniture. This company has been in business for 17 years and is dedicated to being the premier provider of high style, clean-lined, environmentally conscious outdoor furniture that is still made here in America. One of the highest points of distinction for the Modern Outdoor Collection is the materials that are used: the Modern Outdoor Collection is comprised of 4 lines of furniture – the pieces are made from ipe, a beautiful Brazilian hardwood that is 3 times as dense as teak, electro-polished stainless steel or powder coated steel, anodized aluminum, a high density marine-grade polyboard material, or a cellulose paper based resin product. The Collection includes tables, benches, chairs, chaise lounges, bar carts, sofas, club chairs, settees, loungers, planters, stools, coffee tables, and bar height products. The Veneman Group is based in Westminster, California. Their philosophy is to create products of exceptional quality and unique designs while keeping to a mantra that the best and most desirable furniture are objects that last a life time. Veneman was founded almost 40 years ago as a cast aluminum manufacturer in Southern California and recently introduced the Silver line as a flagship contemporary line. Designed by John Caldwell, this new series signals a new horizon in design, material and craftsmanship. Silver features chairs, chaises, and tables – all of which are distinguished by graceful lines and curves. Silver portrays a robust charm veiled in intricate sophistication. Only 356 grade aluminum ingots – known to be the purest and most resilient aluminum alloys available – are used for all products. It is the pure aluminum and sand casting process that adds to the weight, strength, and overall design quality of the frame.